The law office of James M. Curran has been a fixture in the Middlesex County and Central New Jersey area for over ten years. 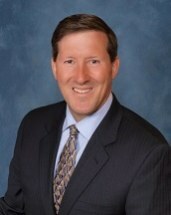 Jim Curran, a Certified Civil Trial Attorney, has been practicing law in the state of New Jersey for twenty years. Jim specializes in the areas of personal injury, civil litigation, and workers' compensation. His standard of professionalism in dealing with clients, the courts, and other law firms he does business with are second to none. Less than 3% of the lawyers in the state of New Jersey are designated as Certified Civil Trial Attorneys. Only 66 lawyers in New Jersey have been certified by the National Board of Trial Advocacy as a Civil Trial Advocate. The fact that Jim Curran is so designated gives you, the client, a huge advantage. These prestigious designations assure you that his area of expertise lies in trial law. Jim Curran has also earned the designation of Civil Trial Specialist by the National Board of Trial Advocacy, accredited by the American Bar Association and affirmed by the U.S. Supreme Court. There are presently only 68 lawyers in the State of New Jersey with Supreme Court designation. Combine this fact with a highly trained support team of paralegals and legal assistants, and the result is one of New Jersey’s most dynamic and progressive law firms whose sole focus is their commitment to servicing your legal needs. Whatever legal problems you are encountering – general construction accidents, crane accidents (including mobile crane accidents), automobile accidents, car and truck accidents, slip and falls, medical malpractice, defective products, dog bites, sports accidents, unsafe machinery, uninsured motorist claims, real estate closings, criminal law, municipal court proceedings, or workers' compensation cases – the law office of James M. Curran can provide you with viable options and outstanding representation. We’re on your side.